The stuff that dreams are made of! Ready for the runway, as if it were. This ethereal bouquet of exquisite, colorful and fresh flowers in a golden or greenish wrapping paper has a touch of vintage charm – and more than a touch of timeless romance! 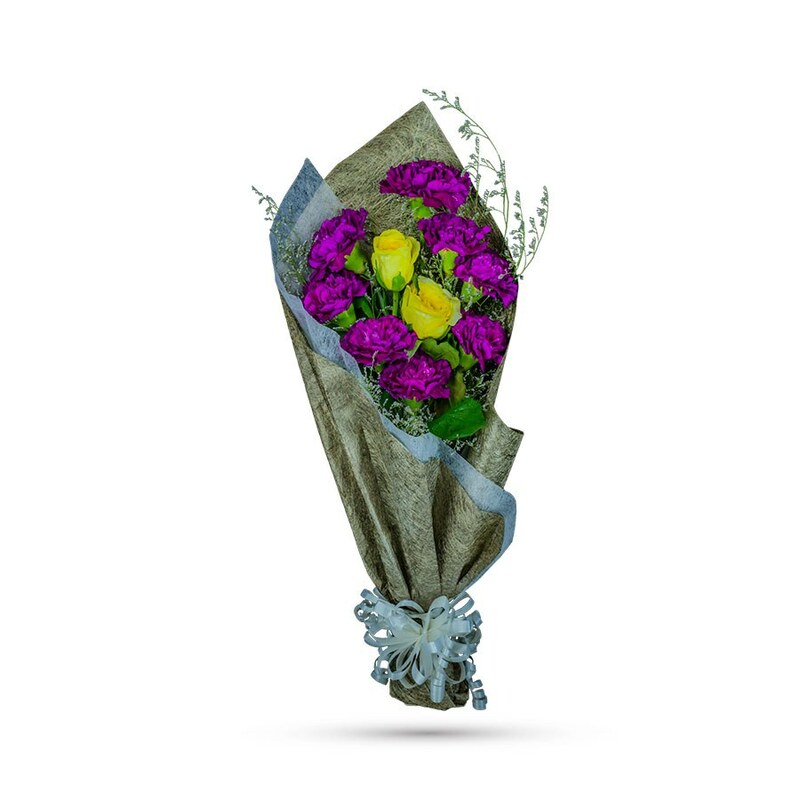 This beautiful bouquet includes an array of blooms like yellow roses and miniature purple or magenta carnations – all accented with fresh green leaves and limonium. Delivered in a beautiful golden or greenish mesh and tied together with an exquisite white bow. 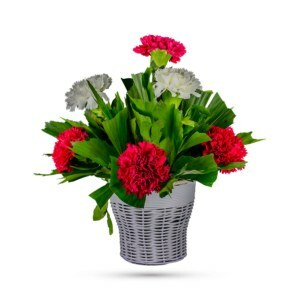 Lovely purple/ magenta carnations are enchanting and exotic. 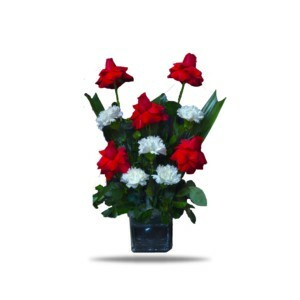 So, if you really want to wow them, order online and send this distinctive and lovely arrangement. 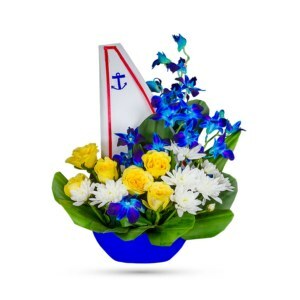 This gorgeous arrangement is perfect for anniversaries, birthdays, or to congratulate someone and is hand- delivered with love and care. It will most certainly arrive in style! 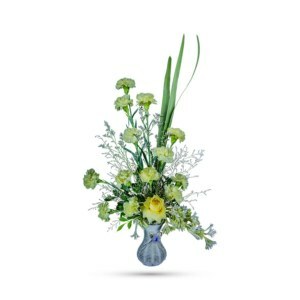 A delightful combination of light colors and lovely flowers, it’s simply beautiful. A Hollywood star to stare at!